"FAU-BAGUETTE-DDS" is a digital long-range locator operating on the principle of nuclear magnetic resonance. It has a built in adjustable digital generator with step 0,7 Hz and a digital frequency meter. The readings of the digital frequency meter are indicated on the LCD. The generator has two transmission options - air (via telescopic antenna) and the earth (with a probe into the ground). Memory function of excitation signal. Function to delete an excited tone. Built-in rechargeable battery 12V / 1,3 A With this device can work up to 15 hours. Charging it with the charger provided in the kit. Charging time is 10 hours. Scope of search - 7km. 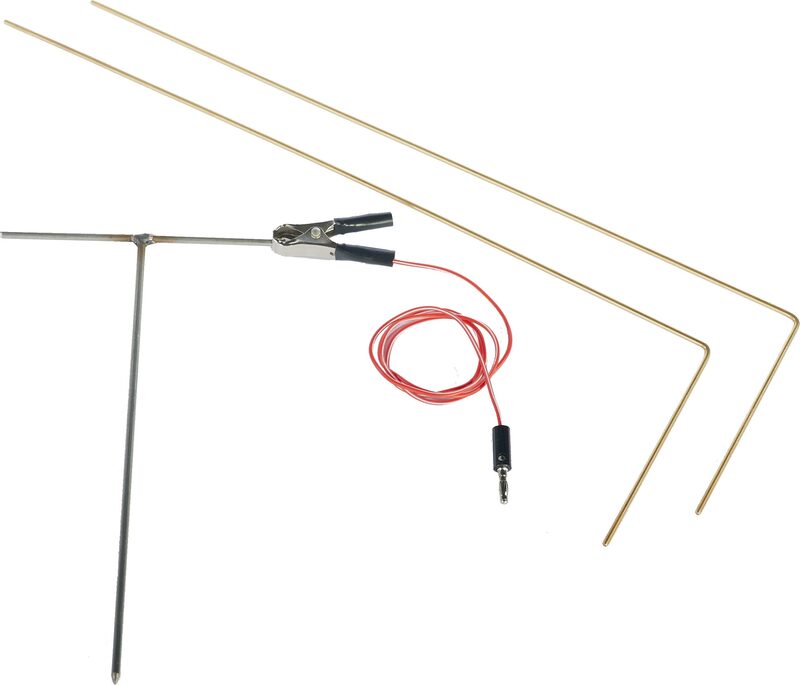 Brass antennas (baguettes), 2 pcs. © 2014-2017 Copyright. MetalDetectors. All rights reserved.